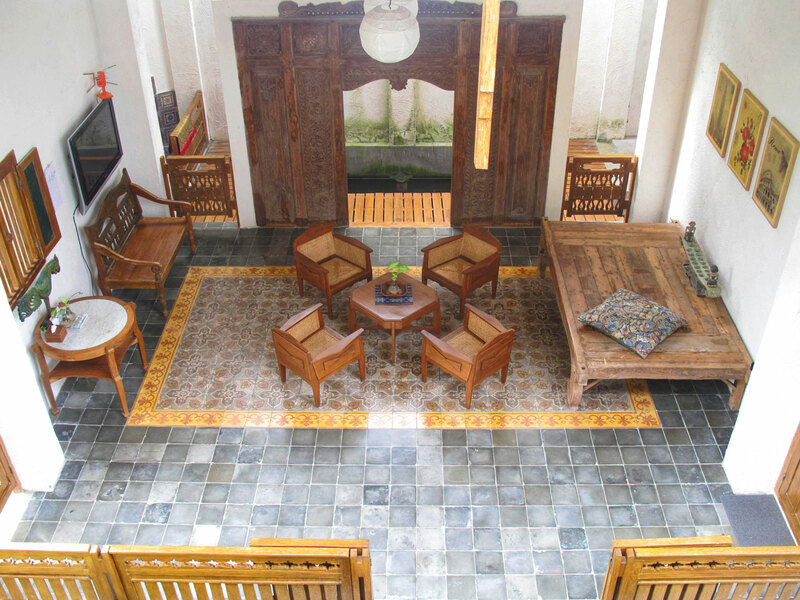 Kalaka B&B offers a unique staying experience suitable for travelers who seeks tranquility and nature yet loves to explore a different side of Yogyakarta. 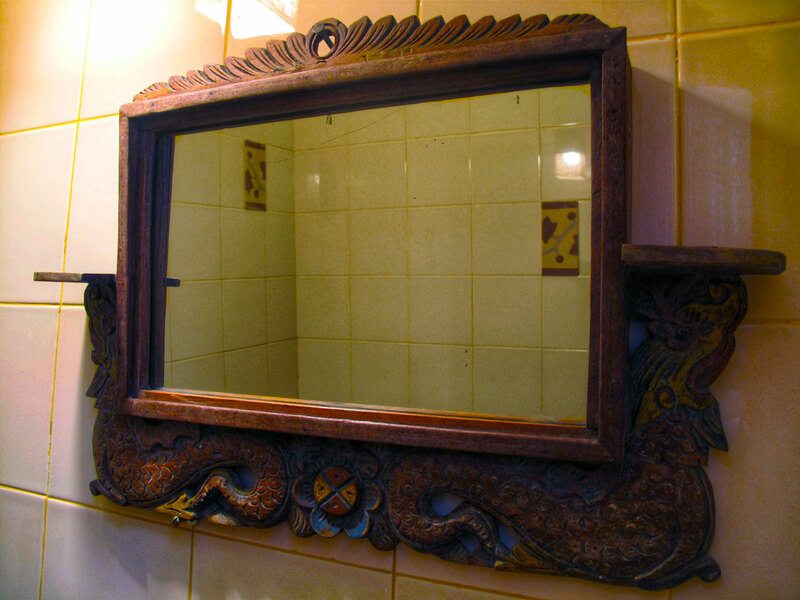 Inspired by classic Javanese design and the robust craftsmanship of colonial era, eclectic atmosphere can be seen within the building details, and within the selected authentic gems found in its antique tiling, double doors, windows and furniture. Guests are also able to enjoy the calmness of nature with a creek on the lower side of the B&B. Griya Perwita Wisata is an established housing complex located in Jl. Kaliurang KM 13, which means it is between downtown Yogyakarta via Jl. Kaliurang and Mt. Merapi, giving you the best of both sides. Though it is quiet within the neighborhood, a few minutes drive can take you to many options eateries, mini market, and also ATMs. There are currently 3 rooms available; 2 rooms in upper floor and 1 room in lower floor with each room equipped with air conditioning, bathroom with hot & cold water and comfortable king-sized bed suitable to accommodate 2 people. Road access is enough for cars to get through. Location can be reached through Jl. Besi Jangkang in Kaliurang KM 13 or through Griya Perwita Wisata’s Security Gate in Kaliurang KM 13,5. Since no reliable public transportation available in our area, we suggest the guests to use taxi or online transportation (Gojek/Grab). The Bed & Breakfast started as an ambition we had earlier in our lives. As a family, we would go travelling and stayed in places with historical meaning and we would imagine how people in older eras lived their lives. Combined with our love of history books and classic architecture, we found ourselves enchanted with the beautiful and robust design that were applied in colonial era buildings and can be found in older parts of many cities in Indonesia. It wasn’t just about the building, we were also fascinated with the details on the floors, windows, the vintage furniture that are sometimes still kept intact. While people took pictures of themselves with beautiful landscapes during their holiday, we would take pictures of a vintage sink or an intricate design on an old wrought iron window we found on a historical building that we visited. This would later inspire us on our design of Kalaka Bed & Breakfast. As we went on with many travelling experiences, we would grow an interest on the business of hospitality. We would think up ideas on how we would serve the guests, what the theme would be, what the name should be like, and how we can differentiate it with other similar business in town. We finally had the chance to build our bed & breakfast. As the place is being built, we started our journey in finding various vintage details that will complement our main theme. We would drove to the next city to check out authentic tiling for sale that dates back to the late 1800s, bought it in its original condition and have it polished before our creative workmen set it for our flooring. We would selectively buy antique bits and pieces which we thought would go great on our bed & breakfast, many of it we don’t know where to apply it just yet. All we know is that we will make them valued once more. It took us a few years until the bed & breakfast is finally ready for our guests, and for us Kalaka is not just a place to stay. It represents our dream and what we value in little things that might have more to its story. We hope you will enjoy your stay at Kalaka Bed & Breakfast.